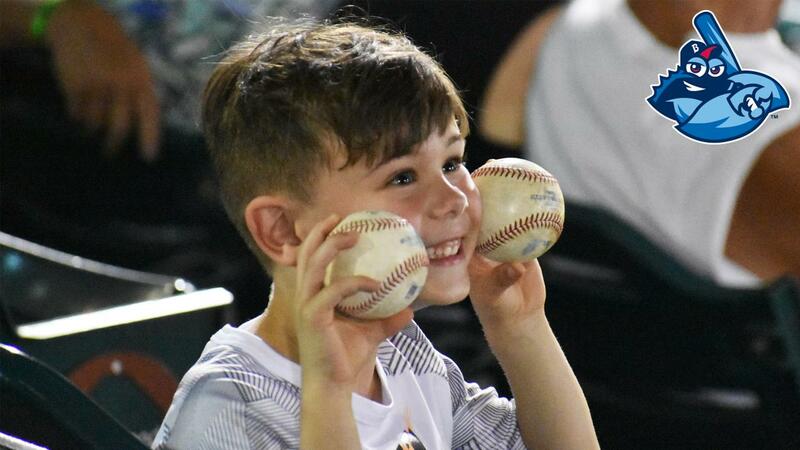 Fourth straight year that MiLB has been named "Most Family Friendly"
For the fourth year in a row, Minor League Baseball has been named "Most Family-Friendly Game or Event!" The BlueClaws strive to provide affordable, family fun at the Jersey Shore and have drawn over 7.4 million fans to FirstEnergy Park in the team's 18 seasons. In 2018, the BlueClaws added a Mini Golf Course, the Toyota World Home Run Pavilion complete with popular boardwalk games, and a new Biergarten, which served as the home of Thirsty Thursday and the BlueClaws Summer Concert Series, to FirstEnergy Park. In addition, the team completed an overhaul of the HVAC system on the Luxury Suite level. "The BlueClaws are a top Jersey Shore entertainment destination and we're excited to make some great enhancements to the ballpark. Our vision is to capture the Jersey Shore feel within FirstEnergy Park," said Joe Ricciutti, BlueClaws President/General Manager. "This marks the first phase of a multi-year ballpark development plan that will serve as the face of a bright future of BlueClaws Baseball." Heading into 2019, the BlueClaws overhauled their Membership Plans, giving even more benefits to members. A 10-Game Membership Plan (more here) comes with tickets to 10 of the top games of the year plus three premium items. Additionally, members will get Early Entrance, complimentary Upstairs Club passes, a hot dog, soda, and ice cream at each game, and a round of Mini Golf and a boardwalk game ticket at each game. A 5-Game Membership Plan (more here) comes with tickets to five of the top games of the year plus two premium items. Members also get a hot dog, soda, and ice cream at each game, and a round of Mini Golf and a boardwalk game ticket at each game. Further, this year, the BlueClaws added a Monthly Payment Plan (more here) option for fans. A 5-Game Membership Plan is available for as little as $5.42 per month. This holiday season, the BlueClaws added the Santa Claws Holiday Package (more here) which includes two Five-Game Membership Plans, a holiday ornament, two one-of-a-kind experiences, and a $20 Claws Cove credit! 2019 BlueClaws ticket memberships and group outings are currently on sale by calling 732-901-7000 option 3 or online at BlueClaws.com.